Nate LeBlanc did a great blog post a few weeks ago about Downtown's rapidly expanding food and drink options. 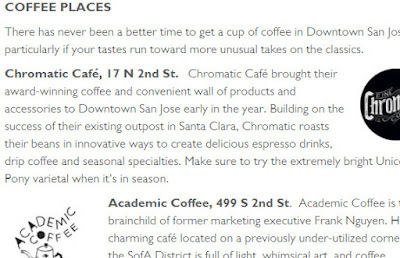 There has never been a better year than 2017 for Downtown coffee lovers with several new boutique options like Academic Coffee, Chromatic Cafe, The Proper Cup and Devout. As for food, Nate highlights Distric, Enoteca La Storia, and Elyse. That last one in particular is outstanding--easily one of the best date-night restaurants Downtown and a worthy successor to House of Siam. You can read the post over here.